Are you looking for quality appliance repair in Oak Park IL? Have you called in to request your dishwasher repair from one of our appliance repair experts yet? So long as you are based within or near Oak Park IL, we will be able to urgently take on your dishwasher repair in Oak Park IL without failing you. The process begins with trying to figure out why you need your dishwasher fixed in the first place. Usually this is easy to accomplish as there are few performance changes that can be noted. For example, if your dishwasher is failing to enter a certain cycle then that would drastically narrow down the potential problems. 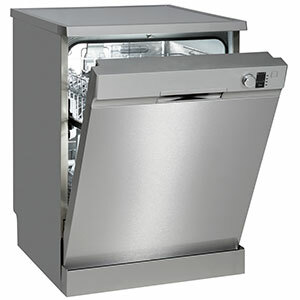 From there, we usually can specify a few dishwasher parts that could be damaged or faulty. Then we just have to test those and figure out which of the dishwasher parts actually need replaced. By now, we have a complete dishwasher repair plan and just need your authorization to bring it to life. Our Oak Park IL based appliance repair pro will present you with a paper estimate that shows what it would cost you if you gave us the go-ahead. This will be loosely based by the Major Appliance Service National Price Guide, which is the closest thing to an official appliance repair service handbook. Regardless, the bill you get when you hire us for your dishwasher repair in Oak Park IL will be based on actual pricing. This includes our real labor fees and what we paid for your dishwasher parts in Oak Park IL, as per our receipt. This is the only way to ensure you are paying for your dishwasher repair and nothing more. Further, if you have not dealt with us in the past you will have $10 slashed off your first repair through our newcomers coupon offer. Do not think of your dishwasher as a food disposer. Sadly, there are sales people telling customers that many new dishwashers offer food disposal features because they have a supposed 'food chopper' inside. The truth is there is a blade that's there, but it's made for more-liquid items. For example, leftover whipped potatoes on a plate could get through the filter to drain out with these blades. It's not going to break down meat or any other hard item though, so you should never avoid scraping all food off your dishes before running a load.